This item is selling for $59.99 on eBay. 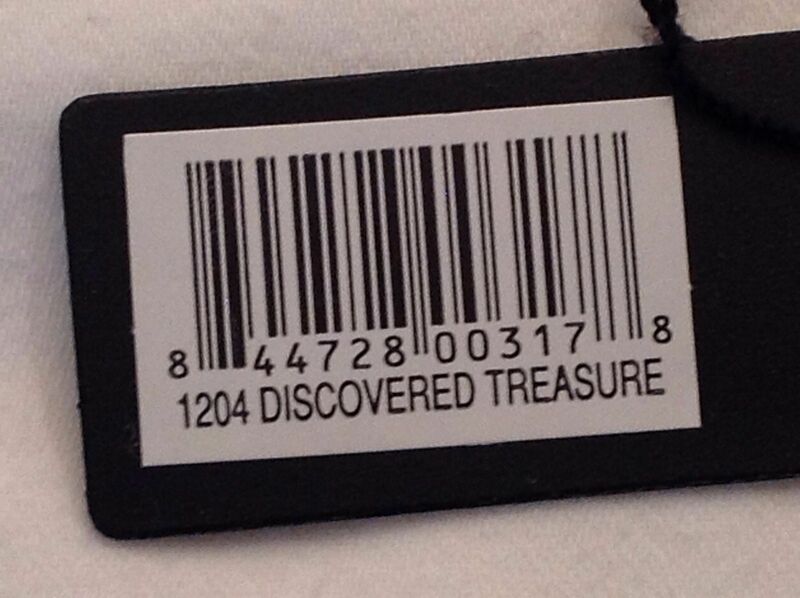 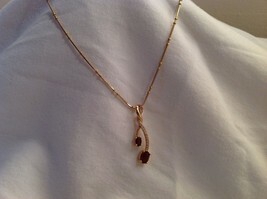 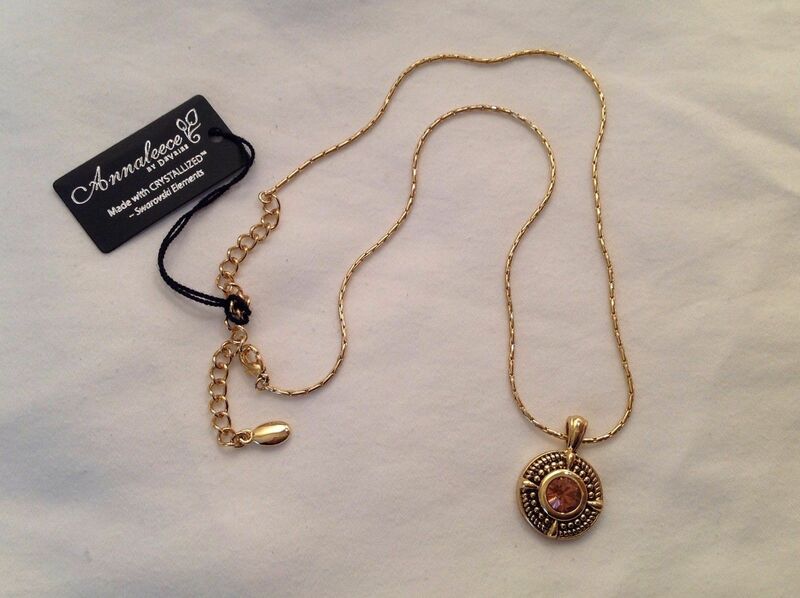 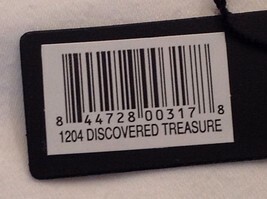 This is a new with tags Annaleece Discovered Treasure necklace. 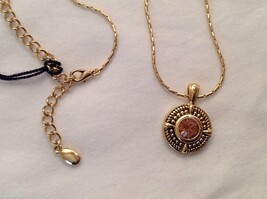 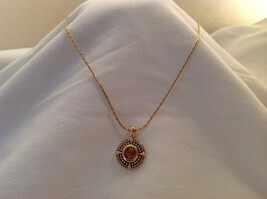 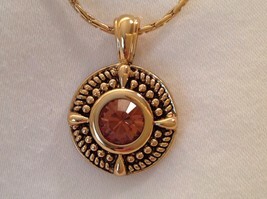 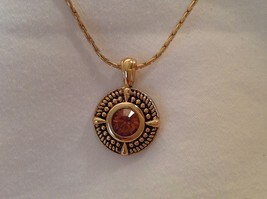 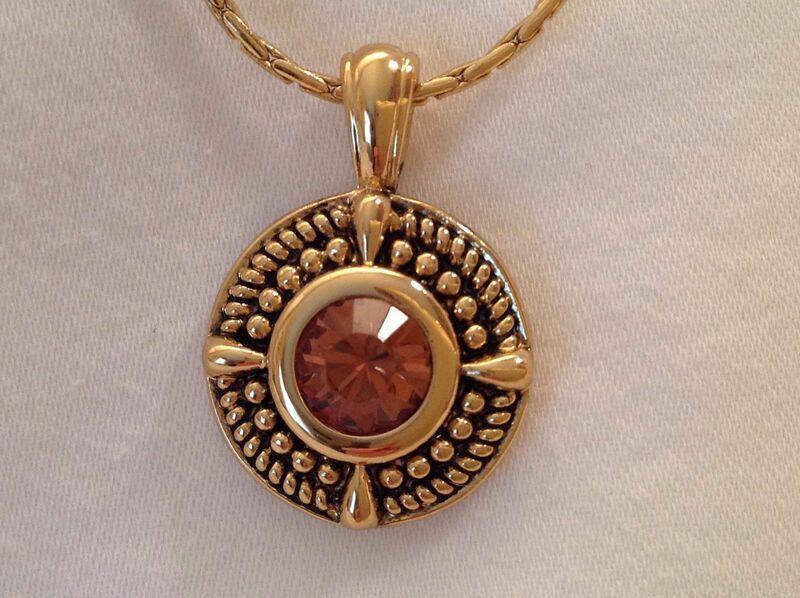 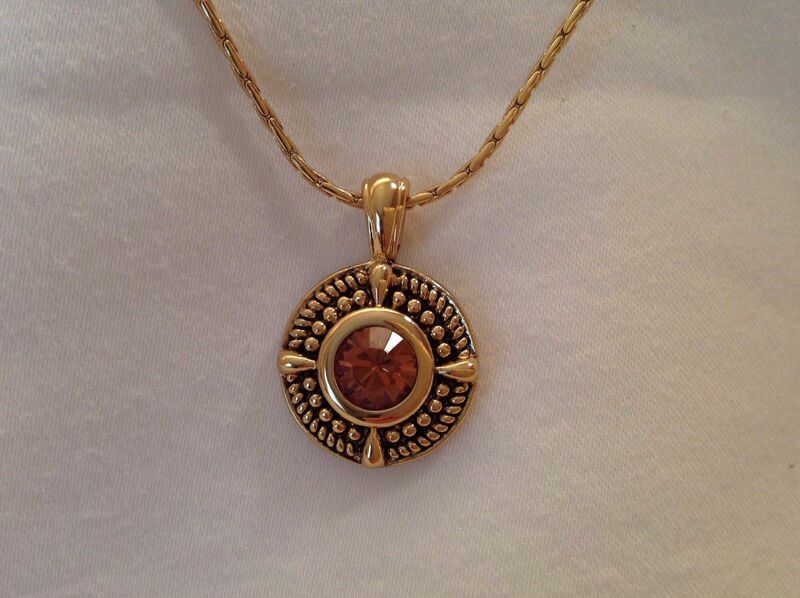 22 karate gold round pendant with golden swarovski element. 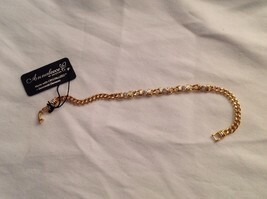 16" chain with 3" adjustable extension. Circle charm measures 3/4" diameter.